Removing toxins from our bodies, cleanses within, and we heal ourselves. Colon Hydrotherapy, and Bio-Electric Lymphatic Drainage Massage; the cleansing of our tissue and interstitial fluids, leads to better health and ones mental and physical well-being. Clenz is nestled away in a quaint part of Miracle Mile, in central Los Angeles. Our treatments are 100% natural, gentle, and safe. We provide a relaxed, soothing environment, and gut health coaching. 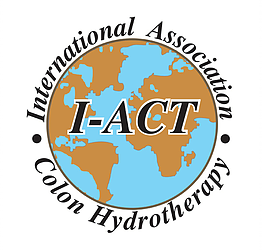 I-ACT, the official international wellness association that insure the best practitioners. Feelings of fatigue, low inspiration, dull skin and eyes, are signs of poor gut health. We’re clogged and bloated. We can’t lose weight, and we don’t know why this is happening to us even though we have a decent diet. Cleansing is the first step to whole body wellness. When we don’t feel good inside our bodies, we don’t feel the awesome force that we are! We use the gravity based Open System, ensuring a more pleasant and private treatment. Our colonics are natural, safe and gentle. You’ll relax in a private, warmly lit room, with soothing essential oils hydrating the atmosphere while a therapist coaches you through the experience. Your session is 50 minutes of focused cleansing and education. Just show up with your coziest socks, and begin your first step to wellness within. Our treatment utilizes a device highly effective in eliminating toxins, die-off, and inflammation from fluid retention within our tissue. It ignites cellular respiration, the separation of nutrients from toxins in our cells, sending toxins through our lymphatic channels where they prepare for disposal. BELD stimulates the lymphatic network in the small intestines, enhancing a deeper colonic treatment. BELD speeds up recovery time after surgery, and drives out medications lingering in our system. BELD speeds up liposuction recovery, reducing inflammation and breaking down fluid waves and bumps. Our sessions are 50 minutes. We recommend arriving 10 minutes early if this is your first visit to our office. Please arrive with a dry body. Remove lotions, deodorant, makeup, perfumes, and remove jewelry. Prior to your session, refrain from liquids and food one hour before your treatment. Reseting your body systems with a combination of BELD – Bio-Electric Lymphatic Drainage Massage, and Colon Hydrotherapy returns us the our original nature, toxin free. This is an excellent full body detoxification, beneficial in the removal of toxins, waste and mucus. Homeostasis returns when the body is nurtured back to wellness within. 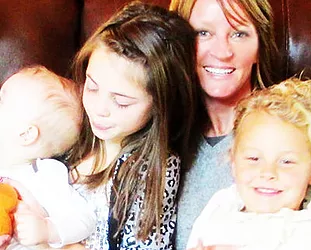 This is an excellent cleanse following a physical setback such as an illness or surgery, or just years of falling behind in a healthy eating habits and lifestyle. This treatment takes 110 minutes. We recommend arriving 10 minutes early if this is your first visit to our office for paper work. Please remove jewelry, refrain from lotions, makeup, and deodorants prior to your session, and refrain from eating or drinking one hour prior to your appointment. Cleansing is the first step to healing. Whether constipation, poor gut health, low immunity or viral intruders, maintaining a healthy and vibrant colon is vital. We want to help you, teach you, and show you the amazing benefits of detoxification.